I would also like to mention that we were raised very religious and spiritual and so today is a function that we celebrate amongst a caste of people known as Brahmins in India. Caste system prevails in India and there are both good and bad sides to it. I try to look at the good side and say that India is rich in culture because of its diversity and castes and I do not believe that it divides us but that it brings us together. I have learnt to respect other cultures/ castes growing up! So today is a day known as “Avani Avittam” which is an important ritual associated with the Brahmin community in the world. All Brahmins , the men wear a sacred thread through the year and on the day of Avani Avittam, the sacred thread worn is changed and it is usually a community observance and takes place on the banks of a pond or river. Avani is the name of the Tamil month and Avittam is one of the 27 stars. My mom and grandmom always cooked delicious authentic meals and “Sambhar” on this special day and this was one dish that we all enjoyed !! 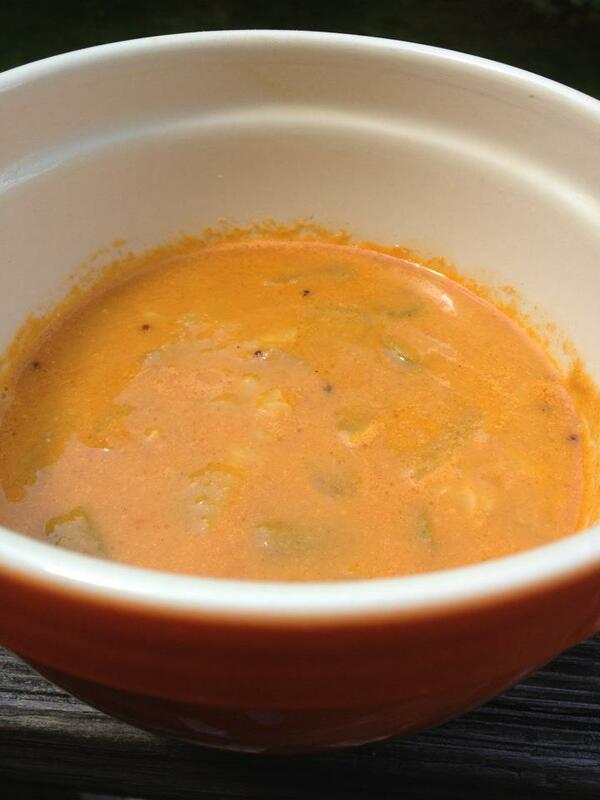 Thinking of my family on this special day when I cooked this delicious “Sambhar” dish. It can be served with rice or just drink it up!!!! Where can I find the recipe for your Sambhar?